As the world moves toward its sustainability goals across all industries, foodpanda, the on-demand food delivery service in the Philippines, recognizes how it shapes the country's food industry and its impact on food wastage and the environment. 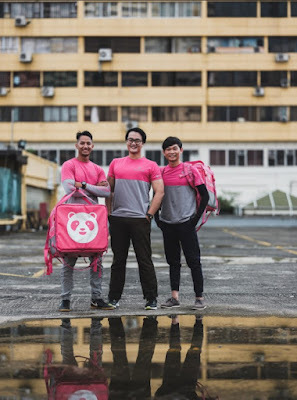 After the successful opt-in/out cutlery initiative, foodpanda continues to strive to become an environmental-friendly delivery service with the launch of its fleet of pink bicycle riders in Metro Manila. Starting in July, a large group of pink cyclists will start roaming the busy streets of the metro to deliver food to hungry customers. “We, at foodpanda, are taking into account the importance of an environmentally friendly delivery service by continuously increasing our group of non-motorcyclist riders. This is so we can potentially lessen our contribution to pollution and traffic on the streets.,“ shared Iacopo Rovere, CEO for foodpanda Philippines. This initiative of foodpanda is just one of the few steps in its effort to reduce the impact on the environment and also to continue with their Go Green Campaign. Adding walkers in the delivery fleet is also in the pipeline with the hopes to continually reduce the use of vehicles on the streets and reduce contribution to pollution. Simply download the foodpanda app or go to foodpanda’s website to place your order and wait for the food you love to be delivered to your doorstep! Also, the delivery fee is now P49 reduced from P59! Book Your Hotel Stay Here!